Explanation: Before local midnight on August 12, this brilliant Perseid meteor flashed above the Poloniny Dark Sky Park, Slovakia, planet Earth. Streaking beside the summer Milky Way, its initial color is likely due to the shower meteor's characteristically high speed. 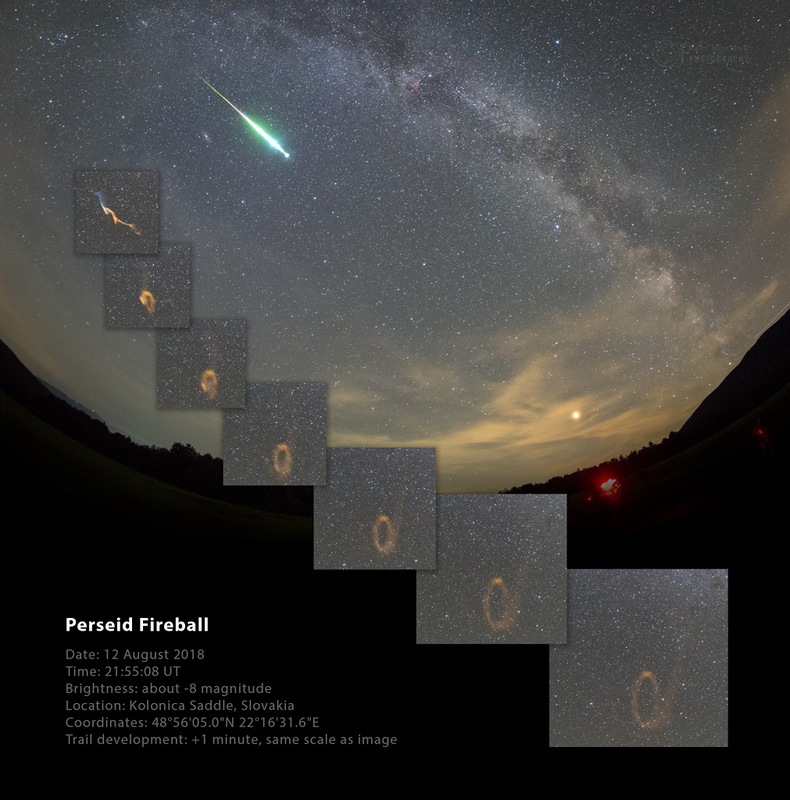 Moving at about 60 kilometers per second, Perseid meteors can excite green emission from oxygen atoms while passing through the thin atmosphere at high altitudes. Also characteristic of bright meteors, this Perseid left a lingering visible trail known as a persistent train, wafting in the upper atmosphere. Its development is followed in the inset frames, exposures separated by one minute and shown at the scale of the original image. Compared to the brief flash of the meteor, the wraith-like trail really is persistent. After an hour faint remnants of this one could still be traced, expanding to over 80 degrees on the sky.